Earth Day Events in San Diego, California! Earth day marks the anniversary of what many consider to be the birth of the environmental movement of 1970. It capitalizes on the emerging consciousness of our environment, channeling energy of the 1970 anti-war protest movement and puts environmental concerns front and center. It’s day is honored around the world on April 22. Many communities observe Earth week or Earth Month, and organizes a series of environmental activities throughout the month of April. Here are some Earth Day events in San Diego! When: April 19th, 2015 from 10:00am – 5:00pm. Call for more information at 619-239-0512! San Diego hosts the largest free annual environmental fair on the planet! With over 80,000 visitors each year, Balboa Park celebrates living and environmental friendly pursuits. There are over 300 exhibitor boots, including alternative health care products, organic gardening, wildlife conservation, ecotourism, pet adoption, and much more! With an art gallery, vegan cuisine, and a childrens Earth Parade, there is so much to do! What’s better in San Diego than enjoying the beautiful flower fields of Carlsbad? Enjoy 50 acres of many different Tecolote Ranunculus flowers, with tractor rides and a walk-through of an orchid greenhouse. Cuyamaca College is hosting their annual Spring Garden Festival, showing us ways to conserve and recycle in order to preserve our beautiful city! There are also classes on how to be a better gardener, with plants being sold at the event! Happy Earth Day! Leave a comment and let us know how you celebrated this day helping the environment! Are you looking for a fun event to celebrate St. Patrick’s day? Here is your calendar of events for St. Patricks Day, 2015 in San Diego, California! Join us all weekend leading up to St. Patrick’s Day for lots of live music, specials, and Hooley’s shenanigans. Celebrate St. Patrick’s Day in the Gaslamp Quarter, as it magically transforms into the greenest party complete with go-go dancers and great live bands. Come celebrate Ireland with the annual St. Patrick’s Day Parade and Festival. With more than 120 parade entries and thousands in attendance, this has become one of the largest single-day events in San Diego. For more information, please visit www.sandiego.org. Before you head out for pints of Guinness, take a short jaunt around Mission Bay Park at the St. Patrick’s Day 10k Run and 2-4 mile Run/Walk. Dress in green, rally up a group of friends and celebrate St. Patrick’s Day weekend with club crawl. Join in the fun at the St. Patrick’s Day half marathon and 5k, the Green Mile for kids and adults with special needs in Downtown San Diego. Calling all Craft Beer enthusiasts! The EC Craft Beer invitational invites you to celebrate St. Patrick’s weekend with delicious craft beer tasters. Come celebrate St. Patrick’s Day aboard the Bahia Belle. The Bahia Belle bar will be serving Guinness and Jameson, plus drink specials to celebrate in proper Irish fashion. Celebrate St. Patrick’s Day with Irish tales, music, and dancing. Music by The Celtic Echoes. We will be joined by Ron Choularton and Cynthia Gerber. St. Patrick’s Day bring the family! 100 Harp players from around the world perform all Celtic music for a splendid concert! Join us at The Field in our turn of the century Irish pub, shipped piece by piece from Ireland and relocated in the heart of San Diego’s Historic Gaslamp Quarter. 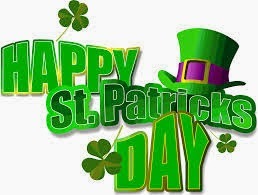 For more information, and to find other St. Patrick’s Day events in San Diego County, please visit http://www.SanDiego.org! There’s so much to do in San Diego everyday – but October is one of our favorite months because of all the awesome events around town! October 12: Little Italy FESTA! 11480 North Torrey Pines Rd. 59th Street and El Cajon Blvd. 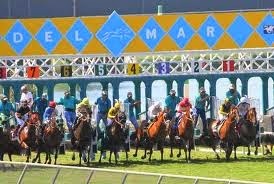 And they’re off…..Thursday, July 17th begins the Del Mar Racing season! The races include many interactive opportunities for San Diegans, including Opening Day and the Hats Contest, as well as Family Fun Day on Sunday, July 20th. In 1937, Bing Crosby welcomed the first guest to the horse racing track and created a rival against the Kentucky Derby. Since then, the races welcomes thousands of guest every year. For the first time in history, Del Mar is ading a 15-day meet in the fall which begins on November 7th. This year marks the 20th anniversary of the Hats Contest, which has five catagories, including the best racing theme and most outrageous. The grand prize include a two-night stay at the Grand Del Mar with dinner for two, and a $500 gift certificate from the Village Hat Shop. Race admissions are $6.00 for general admission, and $3.00 for Diamond Club members. They offer free summer concents on certain Friday and Saturday nights, while Race days are Wednesday-Sunday. For more information about the races, including Del Mar hosting the 2017 Breeders Cup, check out http://www.dmtc.com! THANK YOU from Nissou Realty Group! I would like to extend a giant THANK YOU to all my clients, family, and friends who came out to my Red Carpet Event and Charity Raffle to benefit the UCSD Mito Research Fund and Seminary of Mar Abba The Great at The Palms Banquet Hall! It was definitely a night to remember and I sincerely appreciate you coming! Together we were able to raise money for these wonderful charities. As promised, for the remainder of 2014, I will donate 10% of my commission for every house I sell to both charities. Thank you again to all our sponsors, caterers for the delicious food, and donators of the raffle prizes! Also a thank you to my team for all your hard work and planning! La Jolla, also known as the jewel of San Diego, is a beautiful beach front city just a few minutes north of Downtown San Diego! From world-class shopping to one-of-a-kind dining, the sunshine sparkles year-round. There’s always something going on in La Jolla. Whether it’s live entertainment at the La Valencia Hotel, or the PGA Golf tournament in Torrey Pines, or going to see the sea lions at the cove, there is always something to do when visiting La Jolla. With five beaches to choose from, make La Jolla your one-stop shop for beachgoers. Visit Windansea Beach, where you can check out underwater reefs and fierce waves. This is a very secluded part of the beach, where admirers can watch experience surfers, or have a romantic picnic on the beach. Windansea Beach is located at the end of Nautilus Street. For the kids, check out La Jolla Children’s Pool, with harbor seals! La Jolla Cove is always a fan-favorite for swimming, snorkeling and diving! La Jolla Shores is a long beach with soft sand, clean water, and gentle waves. Ideal for families, sunbathers, and beginner surfers. Finally, there is controversial Black’s Beach located just north of the Scripps Pier. The north portion of the beach is clothing-optional. For the avid-hiker, check out Torrey Pines State Natural Reserve and the La Jolla Walking Trail, with some of the best-hiking trails in all of San Diego. La Jolla has over 25 eateries, serving anything from classic American, to seafood, to Mexican food and more! And when you’re done eating, check out the shopping experience, that is “as unique as you.” La Jolla shopping attracts anyone, from bargain hunters to celebrities that have been known to shop the strip. Some of the most luxurious brands are located in La Jolla, along with everyday values. The best part about it is that you can browse with ease around a beautiful seaside village rather than a crowded and noisy mall. And for San Diegans that are looking to go on a “Stay-cation”, there are a number of elegant coastal hotels to choose from. For more information on La Jolla sites and attractions, as well as entertainment, check out www.lajollabythesea.com! Mito Research Fund Part of Nissou Client Appreciation Event! Don’t miss the May 1st Red Carpet Event hosted by Nissou Realty Group where we are helping out the UCSD Mito Research Fund with our charity raffle. There will be multiple prizes, inlcuding a tablet and signed Padres baseball! Children with mitochondrial disease have a 50% chance of living until the age of 10. Mitochondrial dysfunction has been linked to many other diseases including Autism, Parkinson, PTSD, Diabetes, Alzheimer’s, Cancer, Obesity and infertility. If a cure is found for mitochondrial, all of these diseases and disorders will benefit. The little girls pictured are Kailyn and Charis. They are 3 and 5 and cannot walk or talk because of this disease. Please help us find a cure to save their lives. 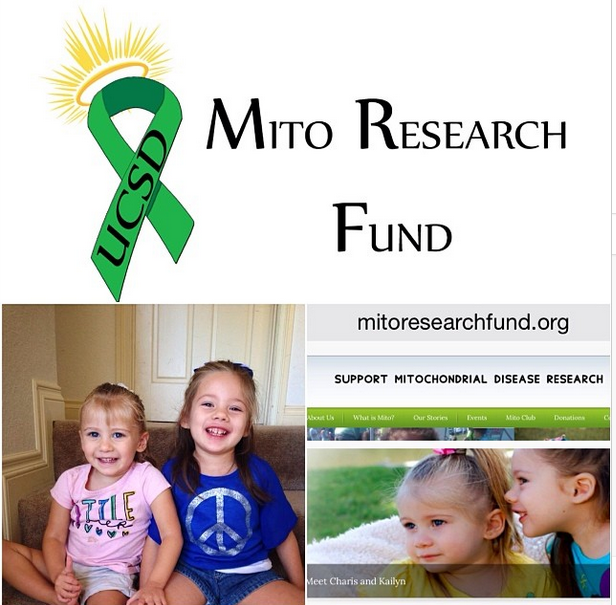 For more information about UCSD’d Mito Research Fund, please go towww.mitoresearchfund.com. To RSVP for the event, please go to www.StephenNissou.com/RSVP.